There is so much planning to do when it comes to weddings. It seems like there is always something else to do. So I posted on A Bride On A Budget's Facebook page, asking what people were up to this week. Emma said she was putting together "Tears of Joy" envelopes. Now that was something I had never seen at a wedding. To be honest, I had never even heard of them. So Emma showed me a photo. I did a bit of research (and asked Emma) and it seems like everyone folds a tissue inside a glassine envelope. You can order these on business cards at an office store or print them at home (you can buy business cards card stock, then just separate them when they're done printing) with a poem to the front and you're pretty golden. If you don't want to order cards for your Tears Of Joy envelopes, you could just print on card stock and use a paper trimmer to cut them. Tissues go on sale a lot, so you can definitely stock up on those for cheap. The glassine envelopes run between $3 and $4 for 100, plus shipping on Amazon. These Tears Of Joy envelopes are super inexpensive and will make such a big impression. You can either attach them to the wedding programs or keep them in a basket next to the wedding programs. It's these small touches that make the biggest difference at your wedding. 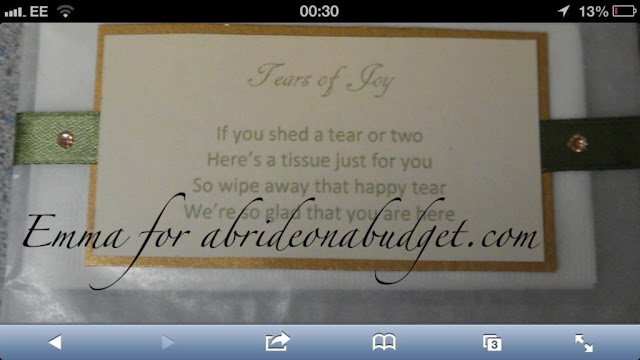 BRIDAL BABBLE: Have you ever seen these "Tears of Joy" envelopes? 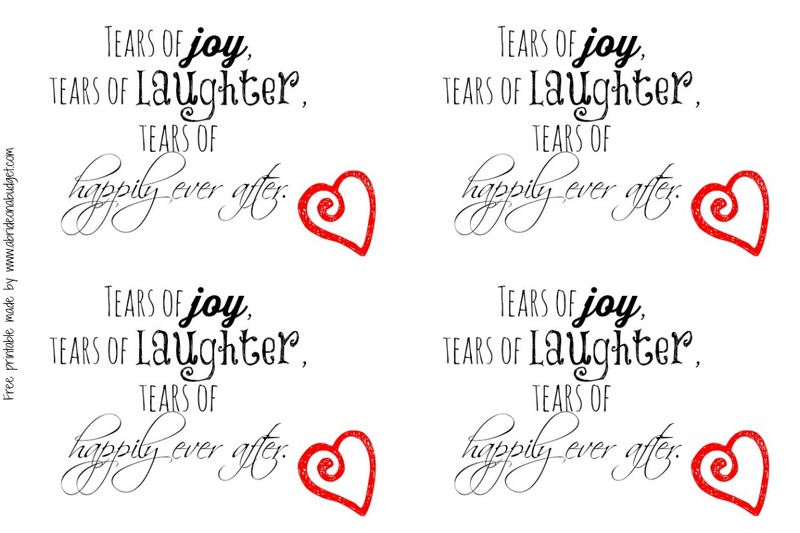 Get our free Tears Of Joy envelope printable below.